How to attract Blue Jays to your backyard. Blue Jays add beautiful colour and interest to your backyard. Yes they are noisy and yes they are bossy but they are also extremely entertaining to watch. I find each jay has it's own personality and enjoy trying to figure out who's who when they arrive at the feeder. In shell peanuts are a favorite of Blue Jays. 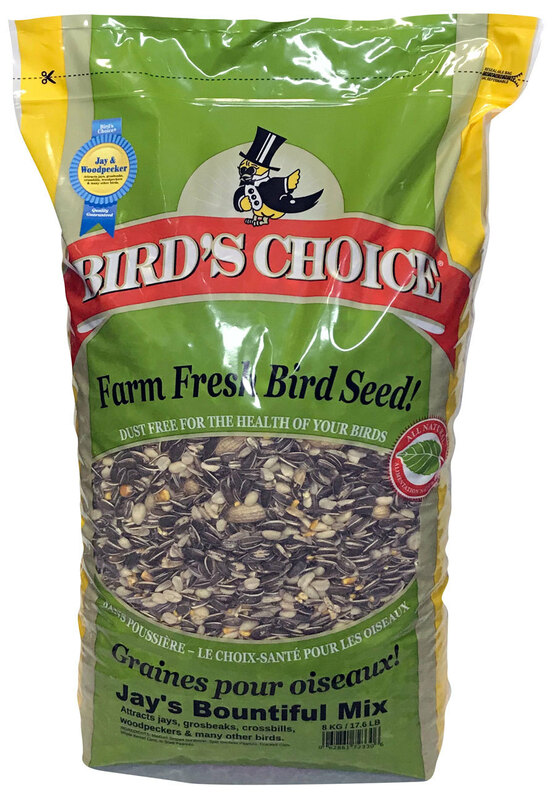 If you want to attract Blue Jays to your yard, this is probably their top choice. Put the peanuts out and watch them start to show up! Unfortunately, you will be amazed at how quickly a couple of blue jays can empty your peanut feeder! You will be wondering how they can consume so many peanuts. The truth is that they can't consume that many peanuts at once. Instead, they are stashing those peanuts somewhere for a snowy day when they need a snack. When your wallet can't afford any more in shell peanuts, then what do you do? You could try feeding red skinned peanuts. These raw peanuts still have a bit of skin left on the nut. They may not be quite as pretty as the premium skinless peanuts which are blanched to remove the skin entirely but they are still very nice peanuts. 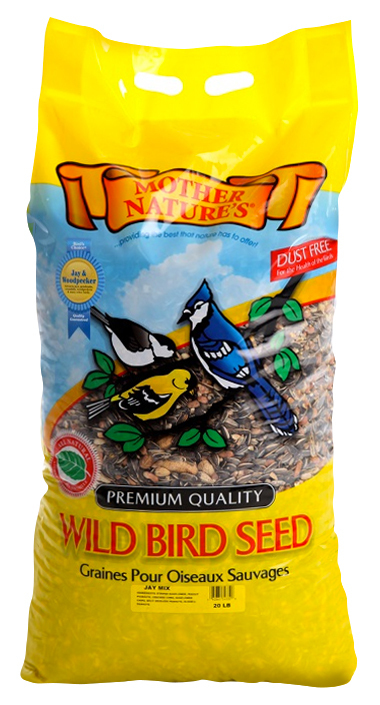 Alternatively, we recommend trying our Mother Nature's Jay and Woodpecker mix or Bird's Choice Jay's Bountiful mix. Both of these mixes are designed to attract Jay's to the feeder without breaking the bank in the process. Give one of these mixes a try when the jays are around and you will be surprised at how much they enjoy it. Top 5 Barley Choices for 2019 - What to seed this spring - varieties and factors to consider. 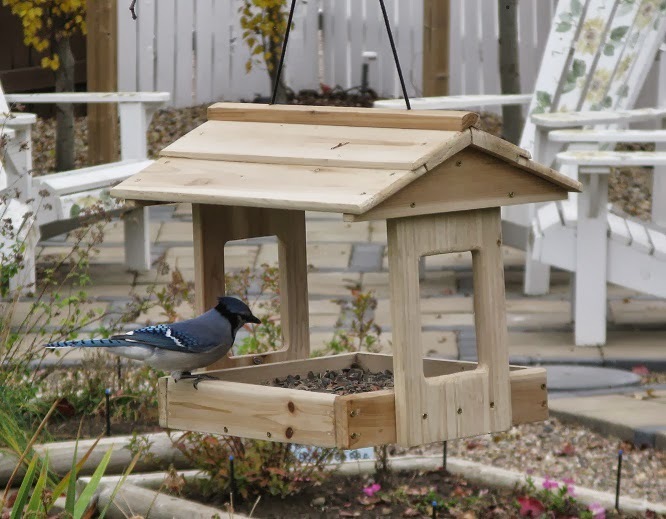 How to attract blue jays and woodpeckers to your backyard. Why small seed is an economical choice. How to attract wild finches to your backyard.